Spring flowers. Late summer to fall berries. White blossoms. "Doll's eyes" berries late season. Shade and woodland gardens. Native plantings. 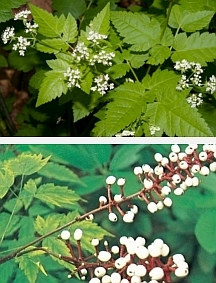 Attractive and interesting long-lived, shade species. Berries are poisonous and not bothered by wildlife.